kevin@usskilodging.com include phone numbers . SCROLL DOWN FOR HOME DETAILS, arranged smaller to larger. Homes (except Big Cottonwood Canyon Homes) are centrally located near the base of Big & Little Cottonwood Canyon access roads, Just 15 minutes to Alta / Snowbird (Little Cottonwood Canyon), & Brighton / Solitude (Big Cottonwood Canyon), and just 30 minutes from The Canyons, Park City and Deer Valley!..... NOTE: We also have lodging slope side at all Utah ski areas- Ski in / Ski out and close to resorts. Click on Utah main page above and scroll to the lodging section, or call us at 801 943-5050. Why ski the 4 Big & Little Cottonwood Canyons Resorts? 1) They are the home of record snowfalls, more than most Colorado resorts and 200" more than the 3 Park City areas. 2) Lift ticket rates for these are less than the Park City Areas and certainly less than Colorado resorts! 3) You arrive at your unit in 20-25 minutes from leaving the airport. For most resorts in Colorado, you fly in and still have a 2-3 hour drive when you leave the airport!! 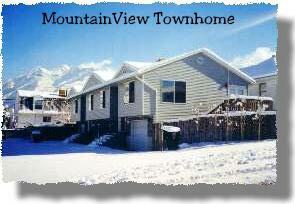 Closest valley 1-2 bedroom unit to Snowbird and Alta! Located about 9.5 miles from Snowbird, +1 mile to Alta, 15 minutes to Brighton/Solitude. Closest 2 bedroom units in the valley! January Special- Book 5+ nights at 20% off! Garden Level part of home. Unit, Sleeps 1-5: 2 bedrooms 1 bath lower level apartment: full kitchen w/ Dishwasher & stove, real oven, 7' ceilings, New Outdoor large private Hot Tub, Satellite TV. Woodburnig stove. Beds-King, Queen, Double, Twin. Best location, great value! sleeps 1-6. January Special- Book 5+ nights at regular rates and group leader skis free every day! A $64 value each day! Photos January Special- Book 5+ nights at regular rates and group leader skis free every day! X-large Hot Tub, New Kitchen, sleeps up to 11!! minutes from the resort access roads. This Remodeled unit is introductory priced offering a fabulous value! Dishwasher, disposal, microwave, coffee mkr. Ticket Specials Available! Certain dates may require minimum night stay or Sat-Sat. 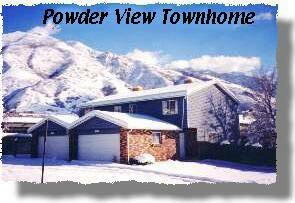 Closest ski home to Snowbird and Alta! Located right on the resort access road for Snowbird and Alta! January Special-Group leader skis free every day! A $64 value each day! 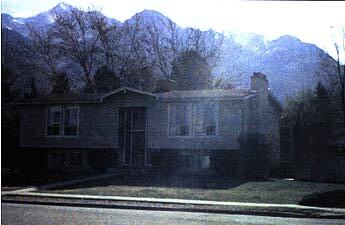 Closest Sandy home to Alta & Snowbird! January Special: 25% off! 4+ nts between 1/3 to 1/31, for just $325/nt and also qualify for Lift Ticket purchase specials! Piper House, Sandy City, Utah! 5 Bedroom Sleeps 12! Lift Ticket Specials Available! This home has one of only 11 Sandy City ski home Licenses!! One of the nicest Ski homes! Certain dates may require minimum night stay or Sat-Sat. 1 minute walk to Cameo House- rent both homes for larger groups! 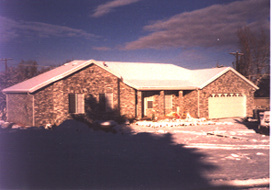 Total Remodel finished Dec. 2006, making this one of the nicest licensed ski homes in the valley! 1 minute walk to Piper House- rent both homes for larger groups. Cameo Ski Home, Newly Remodeled! 6 Bedroom Sleeps up to 14 Cameo Ski Home- Licensed Ski Home great location in Sandy, Little Cottonwood Canyon. January Special: 25% off month of January! Rates: Call 801 943-5050 Ticket Specials Available! 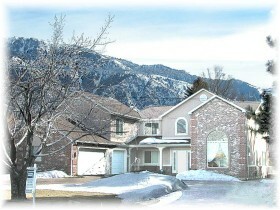 Incredible views of the Wasatch Mountains and SL Valley!! 6 bedroom / 4 bath! A beautiful two level 3400 square foot brick contemporary home featuring a classic gray brick outside, nice contemporary touches inside, and spectacular views of the Wasatch Mountains! This unit has two full kitchens and 4 living/family rooms! Sleeps up to 14. Pool Table- Call toll free 877 545-6344 May require minimum night stay or Sat-Sat. Reservations: 877 545-6344 Ticket Specials Available! THE LEXINGTON: Top floor-3 bedrooms with 2 full baths, one with oversized jetted tub. Full kitchen, dinning, and 2 separate living rooms. Bottom floor- Laid out as the top floor, 3 bedrooms with 2 full baths, one with oversized jetted tub. Full kitchen, dinning, and 2 separate living areas. Top and bottom floors have either a shared or a separated entrance allowing 2 groups to be together but separate!. Attached two car garage, private hot tub, central vacuum, gas fireplace on the top level. 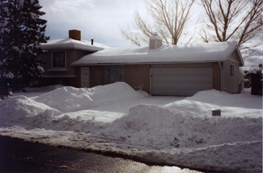 The Oaks - Moderate attached units, 3-5 Bedrooms: These older but still nice condos are located right on the foothills of the Wasatch Mountains. They are right between Big Cottonwood and Little Cottonwood Canyons. With it's central location and a ski bus stop located near the entrance, getting to the slopes is quick and convenient, and you can ski a different resort every day! Almost all of these units have private hot tubs lined up in a row on the back decks, fireplaces, and full garages. Choose from 3 bedroom - 1 bathroom, 3 bedroom- 2 1/2 bathroom, or a 5 bedroom - 3 1/2 bath units. 5 bedroom 31/2 bath unit offers a Jacuzzi tub and is divided into 2 semi private "apartments" each with it's own kitchen, bed & bath rooms and living rooms. They also include cable TV with VCRs, washer dryers, fabulous views, and are close to shopping. Canyon Racquet Club moderate to nice attached units: 2, 3 & 4 bedroom/2-4 baths: Located right at the base of Big Cottonwood Canyon! Multi level rustic condos built in 1980 featuring some views of the Salt Lake Valley from the decks with private hot tubs. Most feature King or Queen size beds and private bath in master bedrooms cable TVs, VCRs, full kitchen, washer & dryer, dining room, attached two car garage. A deck with private hot tub offers some valley and mountain views! Featured Property! Ski to your door, walk to Brighton lifts! Spend your Vacation in a Mountain Paradise! Ticket Package Specials, Call 801 943-5050! Best location- walk to Brighton lifts, 2 minutes to Solitude Mountain Resort. Ski from BOTH resorts back to your door! Secluded in trees on Brighton's Mt. Millicent! Ski in Ski Out Lodges at Solitude Resort! Introductory offer- Call 1-US Ski Lodging now, book before Oct. 31st, and we will book your lodging at last season's rates!!! POSTED: All homes include linens, starter rolls of TP, dishwasher soap, towels, enough cookware and dinnerware for rated amount of people. Hot tubs not guaranteed, optional items such as toiletries, laundry soap, and all foodstuff are renter's responsibility.